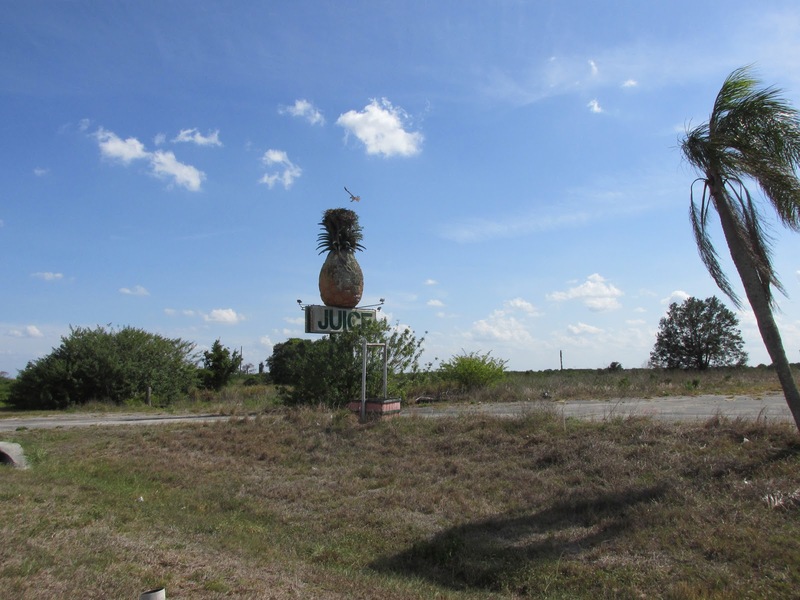 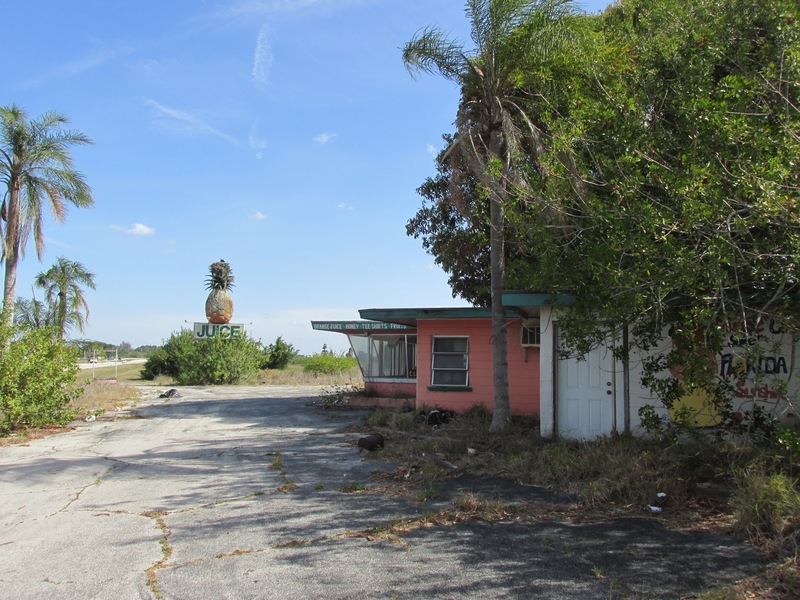 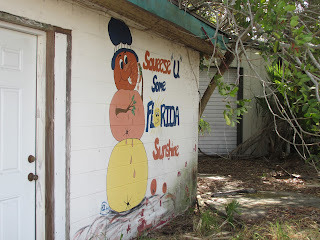 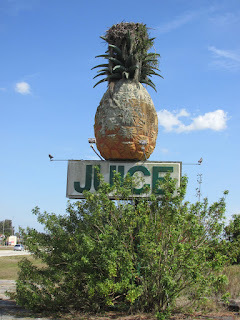 A recent roadtrip to the pretty little south central Florida town of Lake Placid yielded us a two-fer: an abandoned, decaying roadside sign and business, and a wonder of nature. 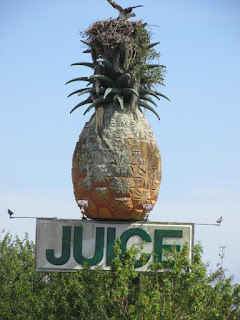 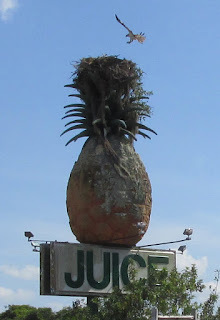 On top of the pineapple-shaped sign in front of a decommissioned citrus stand along busy Route 27 sits a large osprey nest with a rather angry mother protecting her young. At first we didn't notice the nest and thought this was just a cool, abandoned place, so beautifully melancholy Old Florida, but after getting out to walk around and get a closer look, a lot of loud squawking was heard. It was then we noticed a large hawk-like bird right in the top. The closer we got, the more distressed she acted until she flew off and began circling and crying. 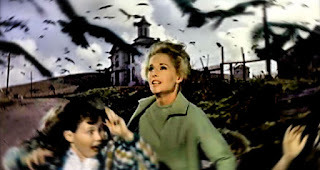 This was something I hadn't seen before, I thought to myself, and for a minute I wondered if I should be heading to a phone booth for protection, like Tippi Hedren in "The Birds". 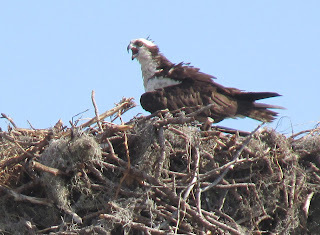 We would have lingered longer to get more pictures but moved on after a minute because the poor bird really did seem distressed. 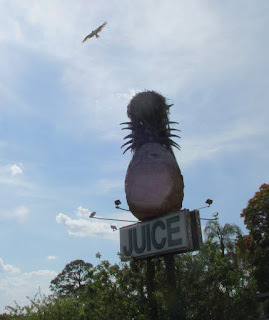 To stay any longer would have seemed, well, hawkward.